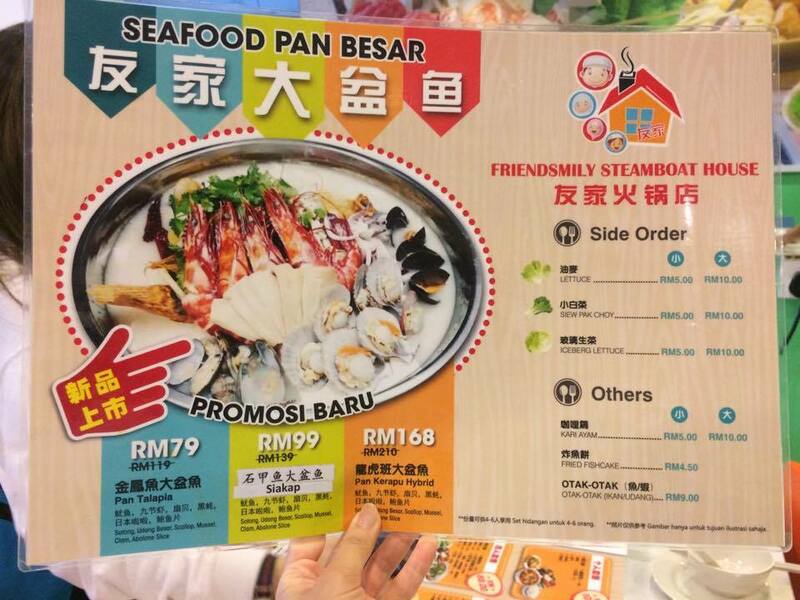 It's been a long while since I went to a steamboat house, and was grateful to be invited by FoodInk to Friendsmily Steamboat House (FSH) to try out some of their menu! the prawns are super active! Here's a short video of them. Surcharge for steaming the seafood. This is what I mentioned earlier. Had a good tour around the KSM, and I must say the prices here are very good compared to the local supermarkets! I'm definitely interested in coming back to get some stuff, especially the scallops and seafood tofu! After the tour, went back to FSH to find that lots of food prepared! CHECK IT OUT!! We've got all the good stuff yo! Don't think I'll need to spell out the items on the table. This here is the Wintermelon Pot. Honestly while this looks absolutely stunning, I didn't think it's practical at all. We had a tough time to cook the ingredients and to scoop them up. But was it any good? It's darn AWESOME! If it wasn't any hassle, I'd reckon this is hands-down-you-must-try! I figured I might as well so something too! This is one heck of a meal! You get mussles, scallops, prawns, abalone slices, sotong, clams, and of course the talapia fish too! You can check out the prices below and for more info. They've even got some menu packages which includes Yong Tau Fu ! Another shot of the Wintermelon Pot with lots of food in it! Even caught a video for you! If you're into fresh seafood, then there's a good recommendation for you! You can get some grocery shopping done, and optionally eat them immediately after purchase! Hahaha. Note: Kingfisher Seafood Mart, is just below it. Don't miss the chance to check them out too while you're there!